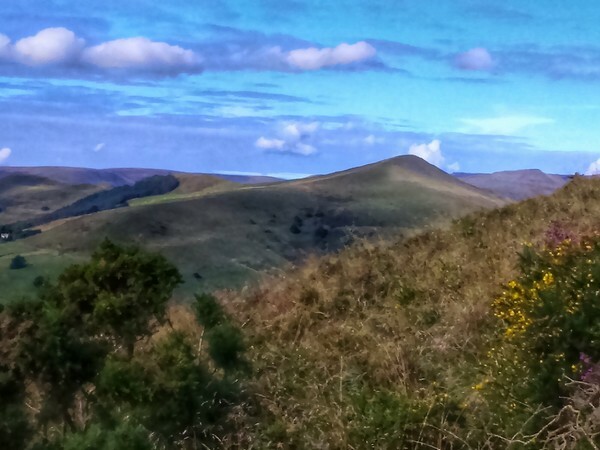 A full day guided walk as part of a small group, with normally no more than six people plus your guide, onto two of the best known hills of the Dark Peak area. Throughout the day, your friendly, professional guide will share with you a wealth of knowledge about the local history, folklore, geology, and plantlife. From the village of Hope, we will take paths over fields and lanes before we start our ascent of Win Hill. 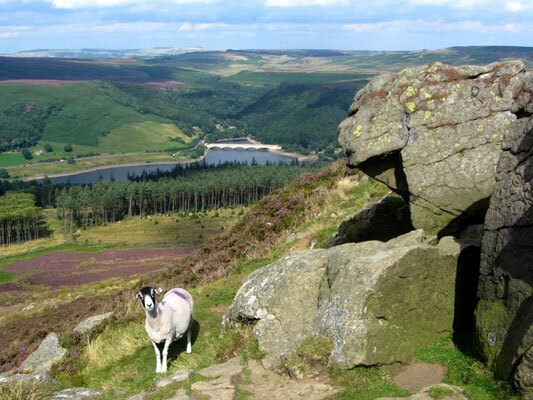 If it is a clear day, upon reaching the summit, we will enjoy stunning views over Ladybower Reservoir and to the hills and moorland beyond. We will then descend into the valley before making our ascent of Lose Hill at the eastern end of The Great Ridge for more wonderful views. Do you know how these two hills got their names? If not, you will find out on the walk! This is a hilly walk of about 8 miles/13km with the possibility of making it a bit longer if everyone on the walk is comfortable with that. Due to the time of year, paths are likely to be quite muddy and slippery in places. The cost is £35 per person. Please book and pay below. We meet at 9:45am ready for a 10:00am start at the entrance to the main public car park in the village of Hope. It is in the centre of the village and signposted off the road. It is next to the public toilets. The car park is a 'Pay & Display' and costs about £5.50 per day. The ticket machine only takes coins. Free roadside car parking can sometimes be found nearby. The post code is S33 6RD. The Google map to the right that you can zoom in and out of marks the spot. General information sheet providing advice regarding what to wear and what to bring with you on your guided walk. If you would like to stay locally the night before or after this walk, the villages of Hope, Castleton and Bamford are nearby.